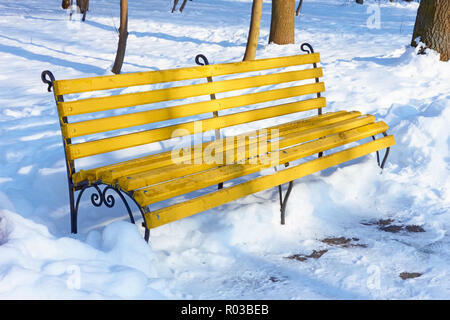 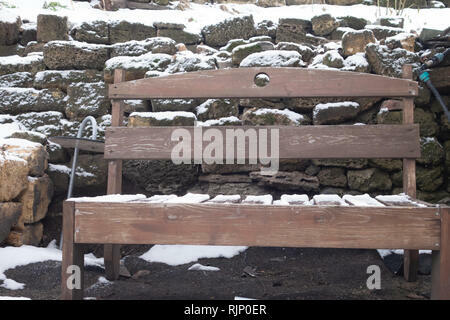 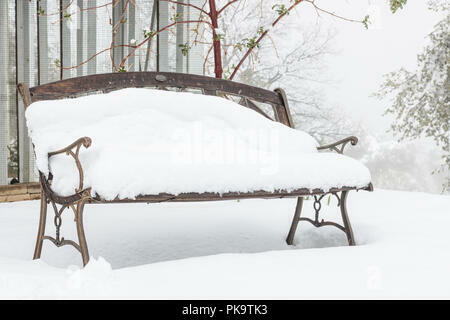 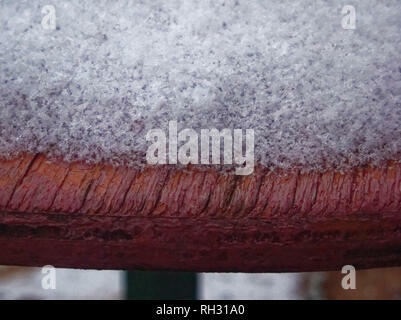 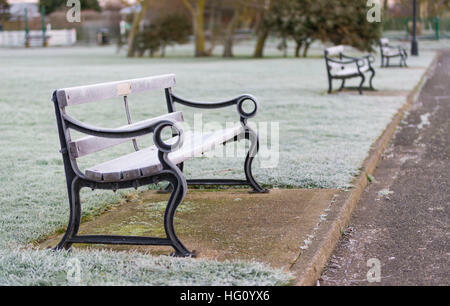 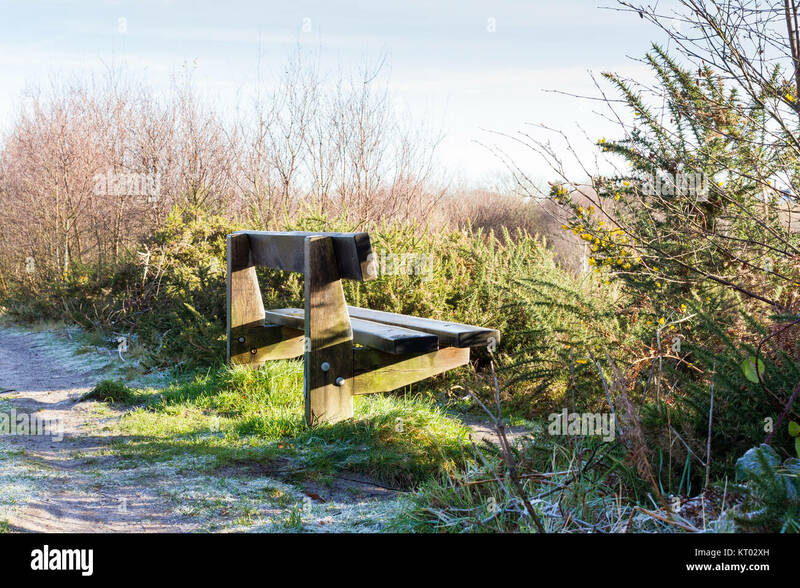 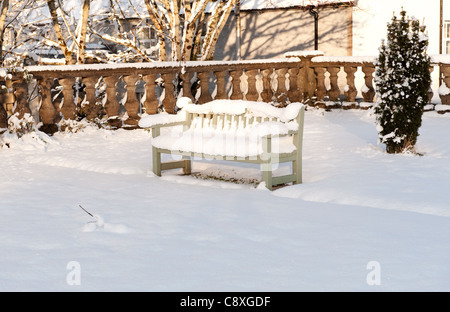 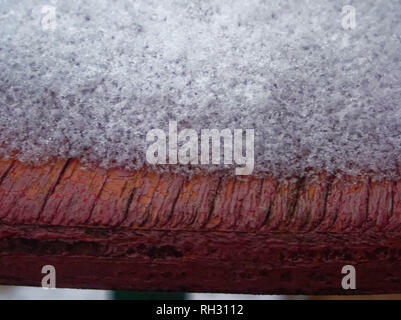 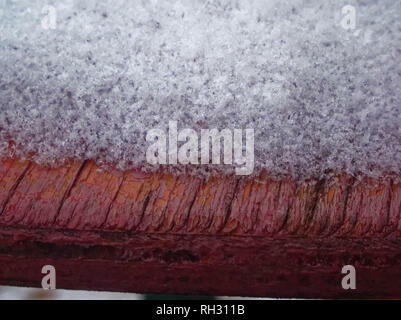 Frost and ice covering a wooden bench in freezing weather in the early morning, in Winter in the UK. 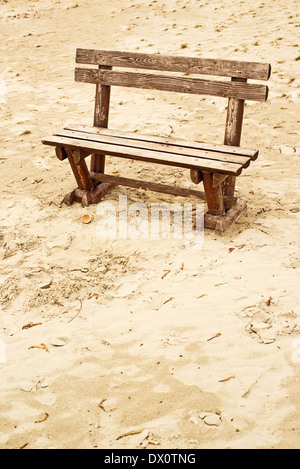 Empty wooden bench on the beach in cloudy weather. 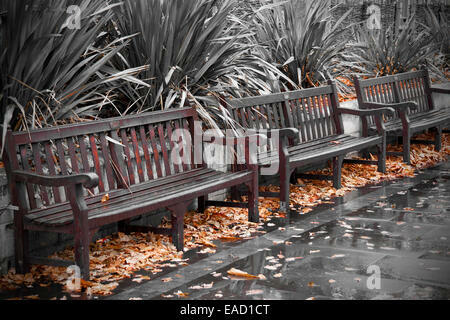 Concept of loneliness, emptiness, solitude. 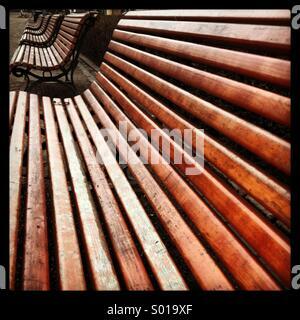 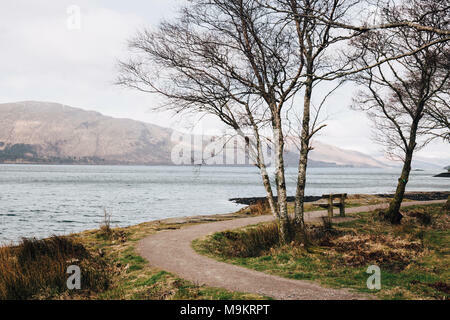 Empty wooden bench by Loch Eil, Fort William, Scotland, on a clear spring day.